Last week, YES Bank organized a Symposium on Opportunities in Green Finance in Mumbai in partnership with FMO, Proparco, KfW and DeG. There was a lot of crowd as the Seminar was free and the venue was Grand Hyatt which has reputation to serve good food. Mr. Rana Kapoor gave an awsome welcome speech that was more than the welcome as it narrated the pioneering work of the YES Bank in green financing, especially on the green bonds. He reeled off numbers that indicated the need for green investments in trillions of dollars for the attainment of the 17 Sustainable Development Goals (SDGs). From FMO, Linda Broekhuizen, Chief Investment Officer, echoed the need stressing the importance of partnerships and partnerships and partnerships. “We must all come together and unleash innovative financial instruments/products to leverage and create desired impact” most speakers and delegates said this while standing in the queues. Even the waiters who were serving tea/coffee (and cookies) during the break said this. I was at the registration counter to pick up the environmentally friendly cloth delegate bag and was astonished to see Lord Kubera standing in the queue. 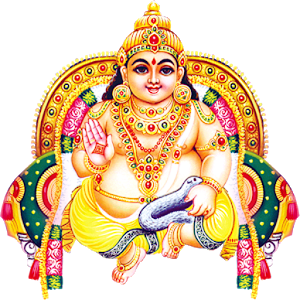 Kubera is the Lord of Wealth and the god-king of the semi-divine Yakshas in Hindu mythology. 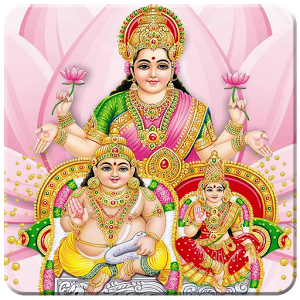 It is a misconception that Lakshmi is Goddess of wealth. Actually, Kubera is God of wealth while Lakhsmi is Goddess of fortune. As fortune is usually associated with wealth, a misconception has arisen. Kubera watches over the earth’s storehouse of gold, silver, jewels, pearls and nine NIDHIS (i.e. special treasures). He is the head of the treasury. “I don’t understand a bit of your jargon Dr Modak. Common sense is that we should invest in projects and programs that have a promise of good outcomes and importantly to the benefit of all. All investments we make, must be environmentally as well as socially green by default – isn’t it?. Will you call the “other types” of investments as brown or red?” Lord Kubera said this while picking up a lemon candy from the bowl. I told the Lord that common sense is uncommon and he should speak to President Trump. Perhaps Trump’s idea of building a wall between United States and Mexico with solar panels may give him another perspective of so called Green but irrelevant investment. Lord Kuber asked whether President Trump will apply for grants from the Green Climate Fund (GCF) for this solar powered wall. I kept shut. After the opening ceremony, my good friend Mr. Santosh Jayaram from KPMG was moderating the panel speaking on Green Investments – Experience and Expectations. When Lord Kubera heard the expectations, he whispered to me – Oh the requirements are pretty large and I am quite excited to offer cheap finance – but why don’t the governments and businesses simply “re-appropriate” and “re-prioritize” the existing program of investments so as to free up the finance for a better cause. It will be foolish to continue the dumb, irrelevant and damaging investments and look for a special finance for green investments. Has this perspective been studied?”. I thought Lord Kubera made a valid point. Such studies are perhaps not yet done and should be carried out. I decided to let Santosh Jayaram know so that he could perhaps bag a consultancy assignment from Lord Kubera. This could be an important takeaway for KPMG from the Symposium. There was a lunch break post the panels. The speakers and organizers were taken to a separate room so that they could eat in peace and network amongst each other. I decided to take Lord Kubera to this special lunch room. I introduced Lord Kubera to respected Mr. Rana Kapoor. Mr. Rana announced Lord Kubera’s presence to all the speakers and organizers. He told the international visitors from FMO, Proparco, KfW and DeG more about Lord Kubera and the role played by him in financing the world for the past 5000 years or so. The representatives of the mighty State Bank of India and Housing Development and Finance Corporation (HDFC) also praised his presence. “The presence of Lord Kubera here must be told to the Press” Mr. Rana instructed Ms. Namita Vikas Group President & Global Head, Climate Strategy & Responsible Banking of the YES Bank. “This will be yet another laurel adding to the list of the YES Bank” he said this while clicking a photograph from his smartphone. Lord Kubera explained the purpose of his presence at the Symposium “We are genuinely interested to finance – I mean the green investments” he said this while looking at me. “Oh, really nothing – there will be no interest. The loan repayment period will be what you choose” Lord Kubera said this while sipping the soup. Most present agreed with me and told Lord Kubera that they will sign up UNEP FI and produce a document on ESMF. “These two requirements will drive the Green Finance” said the waiter serving deserts. There was one person sitting in the room who was not comfortable with the discussions. I think he was new to the club.